Make a mark on your career by enrolling into an online Graduate or Bachelors program in public administration. As an ICMA Strategic Partner, Villanova University is offering ICMA members a discounted tuition rate for the MPA degree program as well as a 10% discount on online professional certificate programs. Accredited by the Network of Schools of Public Policy, Affairs and Administration (NASPAA), the Villanova Master of Public Administration (MPA) program helps graduate students develop the skills they need to become ethical, creative leaders in public service. Its comprehensive curriculum prepares students to lead, manage and contribute to the public good. Villanova’s MPA program is accessible to students around the globe through an interactive online format, featuring Villanova campus-based faculty members who embrace a hands-on instructional approach that leads to practical, everyday solutions. Students must qualify for admission. MPA degree specializations in City Management and Nonprofit Management are now available. Choosing from one of the offered specializations not only allow students to focus their area of study, but also earn a graduate certificate in the specialization they choose. Stand-alone graduate certificates in Public Administration, City Management and Nonprofit Management are also offered and are an excellent options for students to gain valuable skills and knowledge that can immediately be applied at work. 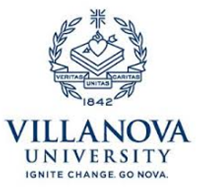 Villanova University also offers online professional certificate programs that can help prepare public service leaders in functional areas such as project management, Six Sigma, and agile contract management. ICMA members can save 10% on professional certificate programs. For more information about Villanova University’s online MPA graduate certificates, and non-credit professional certificate programs, visit this website or call 855-300-1473. Let your enrollment representative know you are a proud member of ICMA to learn more about this exclusive benefit opportunity.